In brief: If you're in the market for a new Samsung Galaxy device and don't want to fool with the hassle of selling your old phone, Samsung's latest promotion may be worth a look. Reasonably new devices from Apple, Samsung, Google and LG are all eligible for decent trade-in values. Samsung is giving consumers even more incentive to purchase its latest mobile devices. From now through November 3, those who buy a new Galaxy device from a participating carrier or retailer will receive double the trade-in value on their old device. 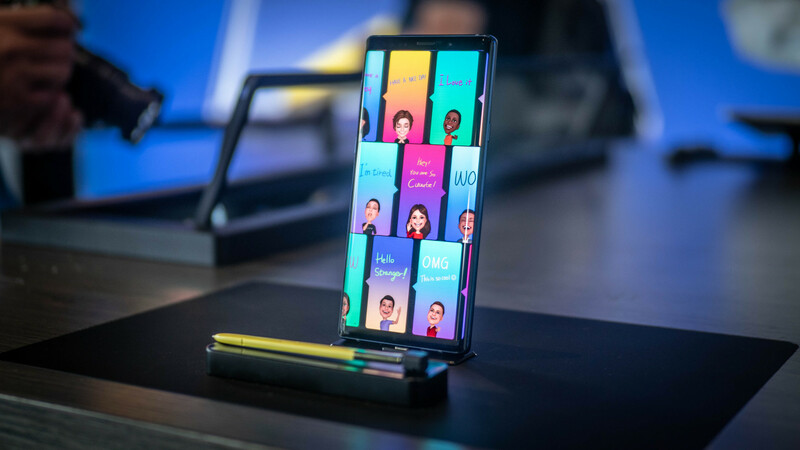 The offer is valid for those purchasing the Galaxy Note 9, the Galaxy S9 or the Galaxy S9+. Participants can earn a maximum of $600, depending on which handset they forfeit. LG’s V30, for example, is worth $300 in Samsung’s eyes, its own Galaxy Note 8 will net you $500 and an iPhone X or iPhone 8 Plus commands the full $600. A complete list of device values can be found over on Samsung’s promotional website. As mentioned, the offer is valid on purchases made through November 3 although you’ll have until November 24 to mail in your old device. Note that you’ll need to be the rightful owner of the device you submit for trade-in (it can’t be a leased phone, for example) and it needs to be in good shape (no cracked screens, water damage, etc.). Those who submit a device that does not meet all eligibility requirements will only receive a Visa Virtual Account for $50.